Hospitals that provided the majority of care to uninsured patients in New York City received a minority of state dollars aimed at compensating hospitals for such care, says a new report by the New York State Health Foundation. The report raises questions about equity in the distribution of public funds to compensate hospitals for providing care to patients that cannot pay. It also bolsters a frequent claim from safety-net hospitals that those serving the country's sickest and poorest patients operate under systemic disadvantages. “We're still underpaying the safety net hospitals,” said Roosa Tikkanen, the lead author of the study who is now a policy analyst at the University of Massachusetts Medical School but was a research assistant at City University New York Hunter College at the time of the study. Although a few years ago the state tried to reform its hospital payment formula, "it's not going as fast as we'd like," she said. The 10 hospitals that provided the most services to uninsured patients in 2013 provided anywhere from 94,000 to 187,000 services to patients, the report found, based on 2015 data from the New York State Department of Health. ICP payments these hospitals received ranged from $4 million to $64 million, or from $39 to $593 for each service provided. Eight of the 10 hospitals were public providers, and caring for the uninsured constituted 15% to 33% of their total volume. The opposite held true among the ten hospitals that provided the fewest services to uninsured patients. Eight were private hospitals, and two were academic medical centers, meaning that none of them were public institutions. They provided from 90 to 10,000 uninsured services in 2013, receiving between $500,000 and $12.7 million from the indigent care pool, or from $2,000 to $13,000 per service. This care represented 1% to 9% of these hospitals' total services. The report used specific examples to illustrate vast discrepancies in indigent care payments from hospital to hospital. The pool was initially called the "hospital bad debt and charity care pool," according to the Greater New York Hospital Association. Today, it distributes more than $1.1 billion to hospitals throughout the state of New York. Memorial Sloan Kettering Cancer Center, an academic center, provided fewer than 900 uninsured services, the report said, yet it received $5 million more in indigent care payments than Elmhurst Hospital in Queens, part of the public NYC Health & Hospitals Corporation. 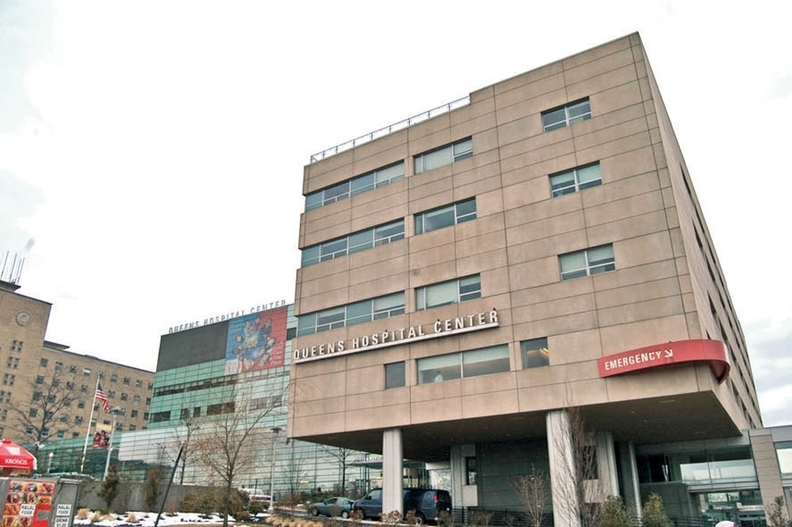 Elmhurst provided more than 187,000 services to uninsured patients, more than any other hospital in the city. “This imbalance has a greater negative impact on public hospitals' finances,” the researchers wrote, citing the fact that losses from caring for the uninsured constituted a much greater share of net revenues and operating expenses for public hospitals than private ones. As a result, public hospitals depended more heavily on supplemental payments such as the indigent care pool. Yet the report indicated their share of such payments is minimal, relative to the care they provide. Efforts by a Republican-led Congress and the Trump administration to repeal the Affordable Care Act are underway. New York state has projected that 1 million people would suffer a "significant loss" of healthcare coverage under those repeal plans. Already, public safety-net hospitals in New York face an operating deficit of $1.8 billion in the next few years. In aggregate, New York City's 12 public hospitals provided 58% of uninsured care in 2013, but they received just 15% of total ICP payments, the report found. For comparison, private hospitals providing the remaining 42% of uninsured care received 85% of ICP payments. One explanation for these imbalances is the way that ICP payments are calculated. The total amount of ICP payments to public hospitals is capped by law at one-seventh of the statutory amount allocated to private hospitals. The current methodology used to calculate that amount in turn remains linked to an older methodology under which the pool could reimburse hospitals for bad debt. Vestiges of the older methodology linger because of a Transition Payment Formula that very gradually phases in the newer methodology, which more closely ties ICP payments to the uninsured care a hospital actually provides. This system effectively creates a payment floor for private hospitals and a payment ceiling for public ones, the report said. Private hospitals are compensated “in excess” of the uninsured care they provide, while “ICP payments to public hospitals are far below these hospitals' actual uncompensated care need,” amounting to average losses $36 million each for public hospitals. “Preserving and strengthening safety-net hospitals is in everyone's interest,” the researchers wrote in their conclusion. “Hospitals in New York City and elsewhere face an uncertain future,” they noted. They suggested that New York accelerate its Transition Payment Formula, to free up funds for hospitals that need those dollars most, and that the state cap ICP payments based on the uncompensated care they actually provide. The state could also limit participation in the indigent care pool altogether, or set a minimum for the community benefits a hospital provides. This original version of this article incorrectly stated that Memorial Sloan Kettering was part of the Weill Cornell Medical Center. The institutions are not connected, and the article has been updated to reflect that fact.